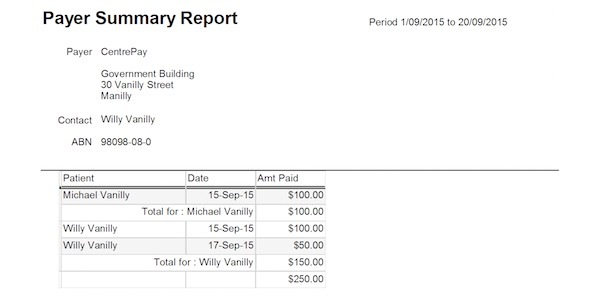 Summary Report of Payer details can be produced and accessed from the Repot Menu. 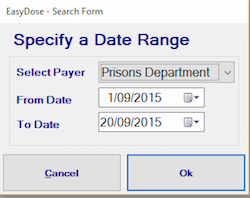 Search dialog form, below, is used to select the specific Payer and the required date range of payments and patients to be searched. A Payer must be selected. A sample of the resulting report is shown below.